I've been a bad blogger and not blogged much over the past few week and here is the reason, my new exhibitions Hidden Views. 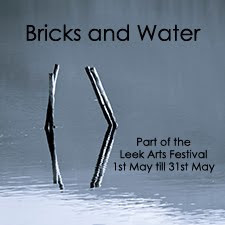 The exhibition starts on Saturday 30th April at the Coffee Clique in Getliffe's Yard in Leek. 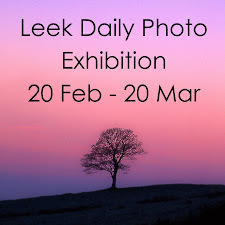 I've not blogged much because most of my free time has been taken up with shoots for the exhibition and sorting out the advertising and getting the pictures framed, work that is still on going!!!! Because of that I not only had no time to blog but also no fresh pictures to post as all my photos were of subjects for the exhibition. 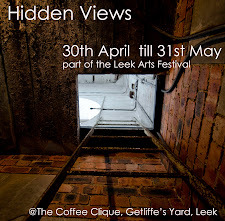 So what is it all about, Hidden Views is about the need to see places you are not normally allowed to see, the idea arrived in the second week in March and at first I nearly did not use it as the time was so short. Not only was there the matter of getting 30+ good images (hard enough on its own) but these had to be taken in places you would not normally get to or even see. Problem 1, Where was interesting enough to photograph, as these views are normally hidden, how would I known there was a view worth seeing? Problem 2, Getting access, who do you contact, how do you get in and having taken all that time and effort then back to problem 1. The out come surprised me, access was no problem once the right people were contacted, in fact the best part of the process was meeting loads of great and very helpful people. The images that I finally selected are better than I could have wished for given the condition in which most of them were taken as hidden views are normally hidden for a reason, bad light, cramped conditions, or poor access. So the exhibition starts this Saturday and runs for the month of May, I will be there Saturday morning and would love to see you all. The picture is as good an example of the exhibition as you could get, it is taken in side the Monument, Leeks most iconic building, looking at the clock workings and showing the back of the clock faces, faces whose fronts have been seen by everyone in the town, but the backs by only a select few, a truly hidden view. Another find in my old files, Leek on a snowy day last year. While sorting photos for my exhibition I came across this image and thought it needed posting on here. It was taken last October on a walk around the local canal. Another shot from Saturdays fire on the Roaches. A Dream shot, I saw the Heron standing by the sign from a bit of a distance and hoped it was one of the private fishing signs, and it was!